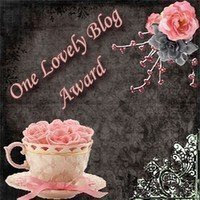 In the mood for a visual treat? Spend a couple of hours with the dazzling oils on canvas of the Andy Warhol of his day, J.M.W. Turner at the Metropolitan Museum now through September 21. Credited as an inspirational force behind French Impressionism, Turner's unconventional landscapes, turbulent seascapes and panoramic classical subjects, many submerged in blazing floods of sunlight, will engage your eye and imagination in a way matched by few artists. 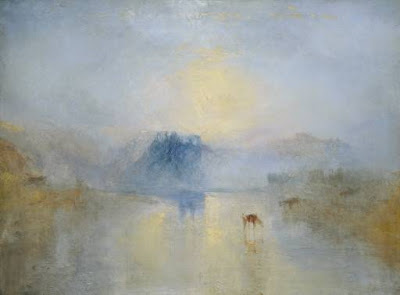 Sunlight reflected on water first fascinated Turner as a boy growing up near the Thames River; That fascination would last all his life and is the connecting thread between the 140 watercolors, gouches, engravings and large scale oils on display. Don't miss this rare opportunity to experience upclose an artist whose most compelling works rarely leave their home in London's Tate Gallery. Successful from his teen years, Joseph Mallord William Turner (1775-1851) purchased many of his finest works back from patrons and collectors during his lifetime. At his death he left more than 300 oils, over 30,000 watercolors and all of his sketchbooks to the British people...provided they build him a museum. More than a hundred years later, his dictate was realized with The Clore Museum, a wing of the Tate Gallery, Millbank. You think, what hubris? Go see why his paintings and works on paper deserve a home of their own. Directions: From Times Square MTA S or 7 to Grand Central Station, 4, 5, or 6 to 86th Street, walk west toward Central Park to Fifth Avenue, short walk to 82nd Street.